What is the perfect size for your dog? Are you ready to hit the road and enjoy your new dirt bike hauler but don’t want to leave your best friend at home? Our recent article talks about everything you need to know about dog carriers and how to pick the perfect one to enjoy this two-wheel adventure alongside your furry pet. 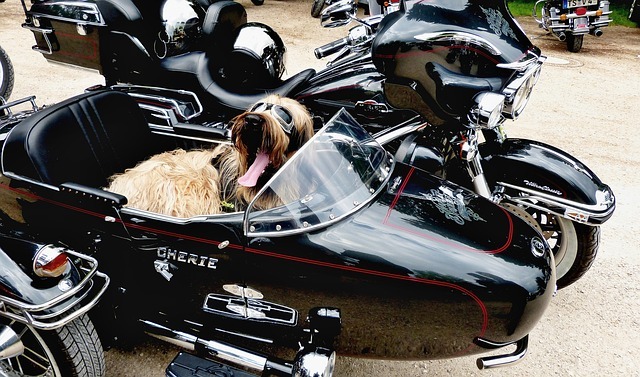 Finding the right motorcycle carrier for your pawed friend could be a struggle, especially if you don’t know exactly what to look for. Here are some important aspects you might want to take into account if you plan on purchasing this sort of item. Most dog carriers for bikes come in various shapes, sizes, and styles, so it’s important to find the right fit for your own pet. First of all, you should consider the size of your dog. 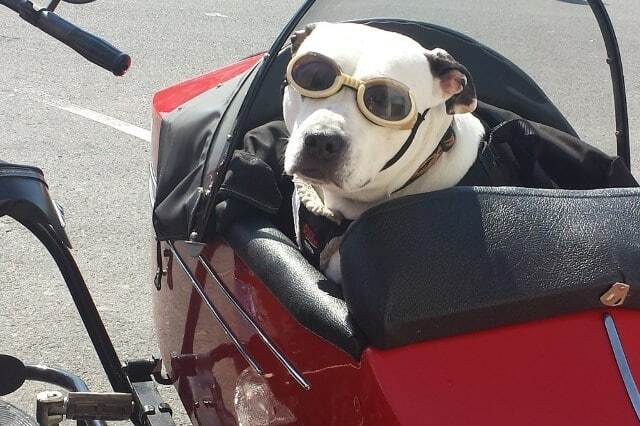 Generally speaking, only small and medium-sized dog breeds can be safely carried in these devices on long rides as motorcycles come with limited space. However, if you have the money and you’re willing to invest it, there are certain items specifically designed for big dog breeds that can be safely mounted on the backseat of your bike, so that you can take your German Shepherd or Retriever on a ride with you anytime you want. Make sure the carrier is the proper size for your pet and that it leaves enough place for your pooch to breathe and stretch its paws. Enclosed carriers could cause unnecessary stress and even pain, so avoid them at all costs if they’re not the right size for your dog. As a general rule, almost all motorcycles come with enough space for a small and medium-sized dog carrier. However, it won’t hurt to double-check this information before taking your pawed friend on a long ride on your bike. Keep in mind that some motorcycles feature a slim and slender design to enhance their speed. However, these bikes don’t usually come with enough space to store your luggage or to conveniently place a dog carrier, especially if we’re talking about medium-sized breeds. On the other hand, other types of bikes like choppers, including the (in)famous Harley-Davidson, feature a sturdy and reliable construction, with plenty of free space to keep your essentials and even mount a pet carrier. So, no matter the brand of your bike, make sure it is suitable for transporting dogs. Different dogs have different needs, but they all must feel safe whenever riding alongside their human friends. And, when it comes to picking the perfect carrier, you’ll usually have to choose from three main options – backpack-style carriers, front carriers, and enclosed carriers. Each comes with its own perks and downsides, so you’ll need to figure out the best solution for your pet. This type of carrier usually consists of a harness tied to your back. Although convenient for the driver, these carriers don’t allow you to take a look at your friend while riding, so we only recommend them if your dog is already used to long rides on your bike. However, they’re also the only viable option for large dog breeds, as long as your bike comes with a comfortable back seat. Just make sure to put your pet’s safety first and also provide it with a helmet to prevent injuries in case of an accident. These are designed to be tied around your stomach and chest, similar to baby wraps. 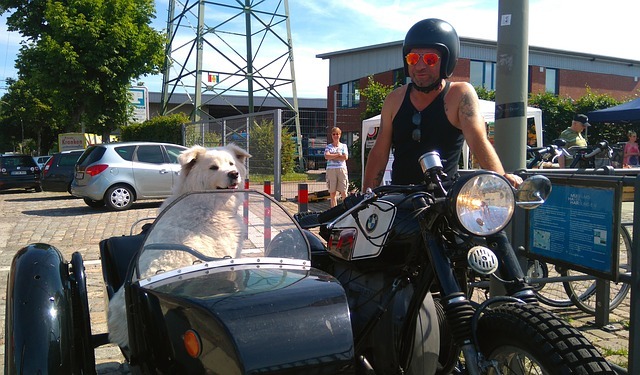 This way, you can take a close look at your pet while riding, which gives you the perfect opportunity to bond with your dog and make it feel safe. Unfortunately, front carriers are not suitable for large dog breeds as they may block your vision and prevent you from seeing everything on the road. What’s best about these products is that, unlike the front ones and the backpack-styled ones, you can attach them directly to the body of the bike, giving you maximum freedom to ride your bike and pay attention to the road at the same time, without your pet blocking the view. They are a lot safer too and, generally, more comfortable for your pet. An enclosed carrier will also protect your dog from wind, rain, and cold temperatures, ensuring a fun ride no matter the weather. In addition, it will have plenty of room to stretch its paws and even take a nap if it’s already used to your riding skills. Therefore, long journeys will not be a problem and, since most of these products also feature a window, your pet can enjoy sightseeing as well. Once you’ve found the perfect piece to fit your bike and your pet’s needs, you might want to hold on to it as long as possible. Therefore, we strongly suggest you follow the manufacturer’s specific washing and cleaning instructions. You should only wash the carrier in a washing machine if it’s indicated by the manufacturer or else you risk tearing or breaking the product. Exposing it to high temperatures on a regular basis might also weaken the fabric, which will make it less safe. Regularly checking the condition of the carrier is mandatory if you care about your pet’s health. Make sure the stitching isn’t unraveling or that there aren’t any loose clips or buckles. As for storing the product, you have to look for a cool and dry place, away from direct sunlight or harsh weather conditions like increased humidity, rain, heavy wind or snow. In the end, keep in mind that no product is designed to last forever, no matter the materials used to manufacture it, so you should replace it after the first signs of wearing.